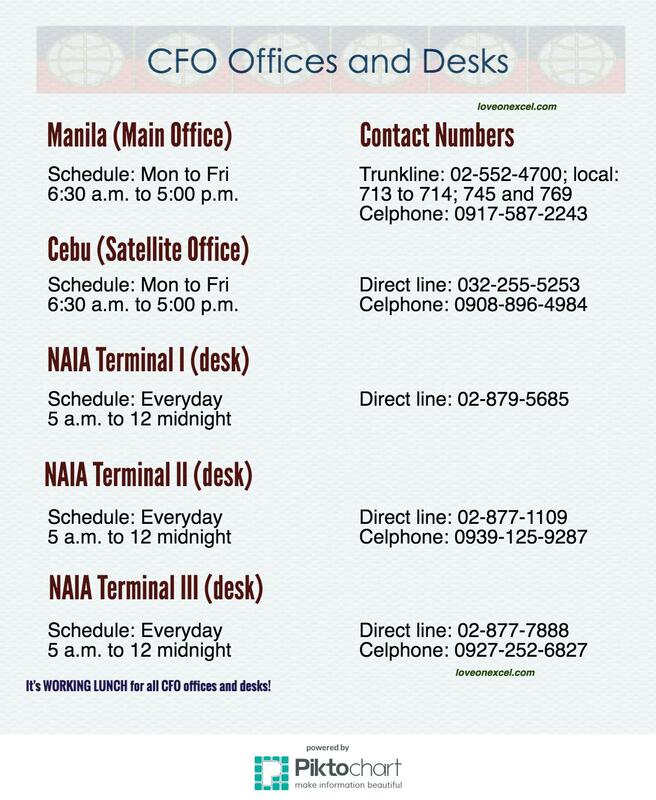 Commission on Filipinos Overseas has two offices located in Cebu and Manila and desks in the three Metro Manila airports. Our very first blog entry on the Commission on Filipinos Overseas (CFO) receives the most follow up questions and as much as we would want to respond right away, we aren’t always able to do so. This is why we are publishing several entries on the frequently asked questions about the CFO Guidance and Counseling Program (GCP). Some of these questions have already been answered on the original entry’s comment thread, but are included here for better visibility.